We love seeing new stationery designs here at Khush Wedding, because we know the best weddings are down to the details. 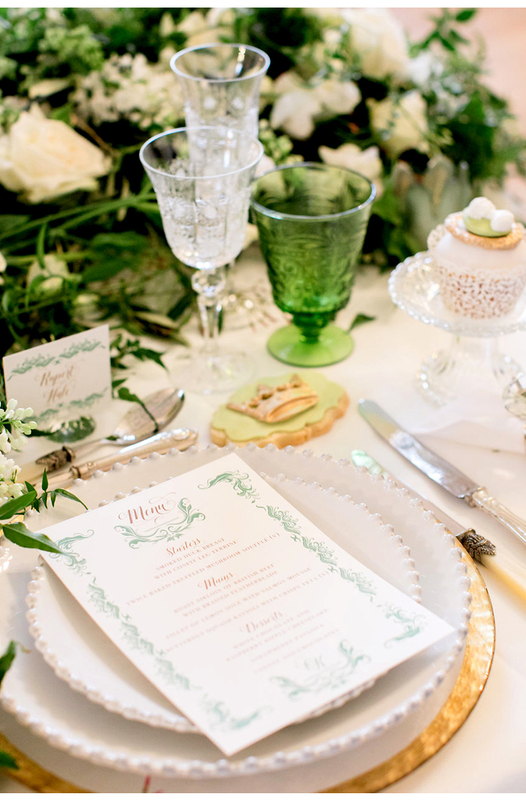 They don't have to be overly intricate; sometimes the genius is in the simplicity - as proven by this elegant green and cream stationery suite from Ananya Cards. Vaishali Shah from Ananya Cards explains the theme: “A timeless classic design with flowing lines, and twining vines; delicate and charming in a fresh and soft green and gold on a white background. Regal, opulent, and so very pretty." 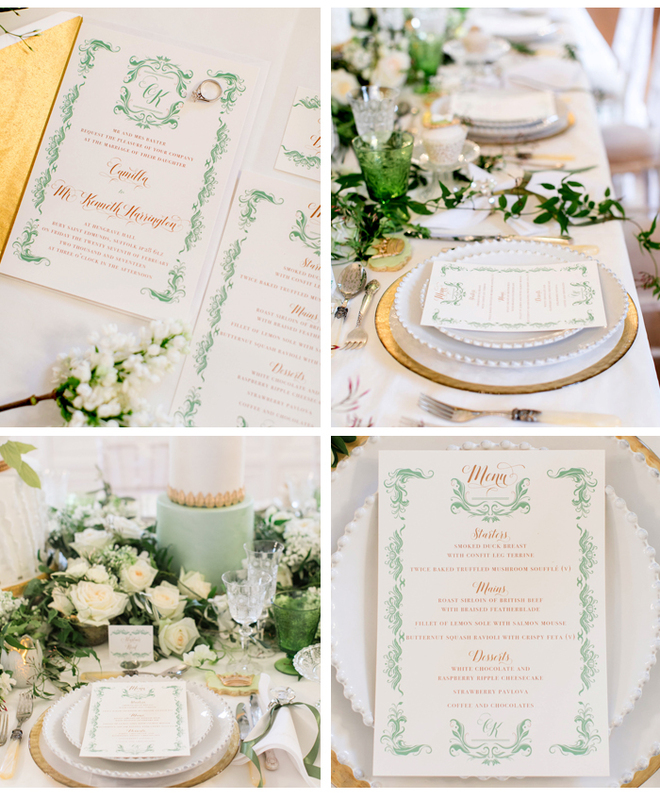 "A monogram creatively interwoven into the various items gives harmony and continuity to the suite of stationery and showcases the personality and individuality of the couple. A family crest can also be made into a monogram." 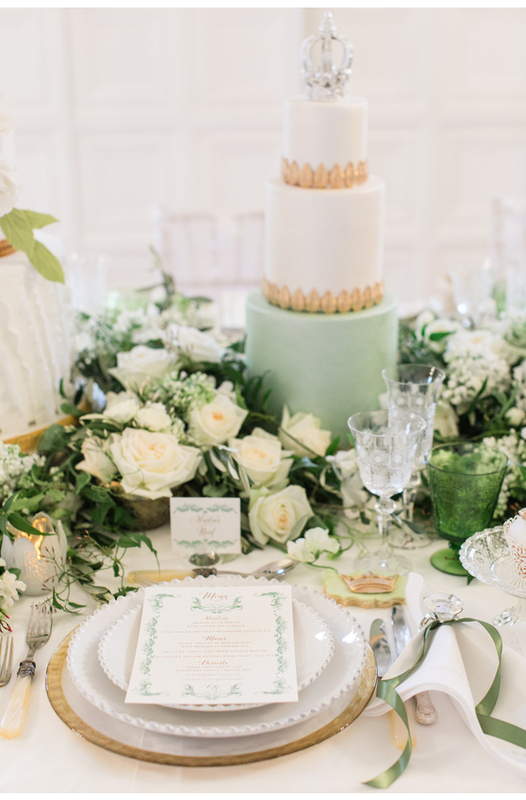 We love the gorgeous palette of pale green and white lifted with pretty gold details. It's about as foolproof as you can get!